How to Remove Blackheads is common question, which the answer you need to solve your skin problem. Blackheads can be especially frustrating to deal with and it appear on any part of your body. 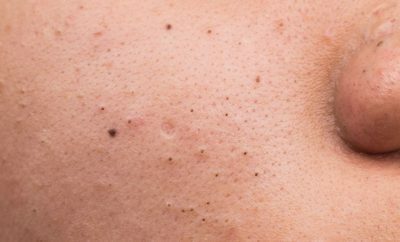 To remove blackheads, you can try some of these successful treatments to clean your skin and stop the formation of the pesky dark spots. Many blackhead removing instruments to give yourself an at-home facial. But, these tools often get full of bacteria and can scar your skin. 2. Only pick or pop your blackheads after thorough hand washing. You can pop a blackhead after showering when your pores are open. Apply an astringent to your skin after washing your hands thoroughly. Then, use cotton balls to squeeze gently on either side of the blackhead to extract it. Using harsh exfoliants can just irritate your sensitive skin and make your blackheads worse. Stop using it and go with a more gentle cleanser like oatmeal as the most gentle exfoliant if you are having issues with harsher scrubs. Your hands are the dirtiest part of your body which often the cause of many cases of blackheads. Touching your face transfers bacteria from your hands to your face. Important to avoid touching your skin. Wash your pillowcases at least once a week to remove the buildup of dirt from the fabric or dead skin cells and excess oil from your face when you sleep on them at night. It can help keep your face clear of blackheads. Make sure your face is clean (remove all makeup before washing your skin) and clear by washing it once in the morning and once at night. Do it routinely with a gentle facial moisturizer to keep your skin from over-producing oils which cause blackheads. Egg whites help you to tighten pores and pull out any clogged dirt giving your skin smooth and clear. Remove the yolks from two eggs and smear it into a thin layer over your face. Give it two minutes to dry. Then add the remaining whites in a second layer. Give the complete mask an additional until the whites are smooth to the touch and your skin feels tight. Use warm water to rinse the whites off your face. Honey as a natural antibiotic works to pull out dirt from open pores. You can mix a tablespoon of honey with ½ a teaspoon of cinnamon. Use your clean fingers to dab and rub it in a circular motion for three minutes onto your dry skin. And then wash off with warm water. You can create blackhead-blocking formula with mixing yogurt and oatmeal. Mix a paste of three tablespoons yogurt, two tablespoons whole oats, and a few drops of lemon juice and olive oil. Apply it to the affected area for ten minutes, and then rinse off with warm water. There are many different kinds of cosmetic clay with the specialized property of drying out oily pores and removing unwanted residue. Mix and spread over your face a tablespoon of powdered clay with enough apple cider vinegar as a paste. And then rinse off with warm water after leave it for 10-15 minutes until it is dry to the touch. Epsom salt mixed with iodine form a bacteria-fighting combo perfect for removing blackheads. Mix a tablespoon of epsom salt with hot water and a few drops of iodine. Dab onto your skin with a cotton. Allow it to dry. Rinse the mixture off with clean warm water gently. 6. Use a paste of fenugreek. Fenugreek has shown promising results for removing blackheads. Use the leafy green blended with water to form a paste. Spread this paste over your face and leave for ten minutes, and then rinse off. Turmeric and mint help to clean out dirty pores. Create a brew of mint tea and add 2 tablespoons of the liquid with 1 tablespoon of turmeric powder. Apply it to your face and leave it on for ten minutes. Rinse off with warm water. Baking soda is great for natural cleanser, the fine grain of the powder clears away dead skin cells. Use baking soda and water to create a paste. And then gently scrub in a circular motion over the entire surface of your affected area for 5-10 minutes before rinsing off. Green tea is great for refreshing your skin. A green tea scrub works to remove dirt and supplying healthy antioxidants. Mix a green tea with a bit of water and rub over your face. Leave it to set for 2-3 minutes and rinse off with warm water. Lemon and salt can help you to remove all the grime buried deep in your pores. Mix lemon juice with a tablespoon of yogurt, a tablespoon of salt, and a bit of honey. Scrub your blackhead-prone areas for 2-3 minutes. Rinse with warm water. The lactic acid of milk combined with the tough granules of nutmeg remove blackheads quickly and in a pain-free manner. Mix a tablespoon of milk with enough nutmeg to create a paste. Apply this mixture to your face while gently scrubbing to remove dead skin and dirt. Rinse the paste with warm water. Facial soap and Cornmeal are used as an abrasive exfoliant. Mix a teaspoon of the cornmeal with your favorite face wash and scrub your face gently in a circular pattern. Rinse the soap and cornmeal off with warm water. Gels containing salicylic acid dissolve away the dead skin and dirt that gets trapped in your pores. Retinoid creams help to improve skin growth and prevent oil buildup. You can use 2-3 times a week in addition to your skin cleaning to keep your pores blackhead free. Pore cleansing strips are great little strips of a cotton material backed with an ultra-sticky solution that dries to your face. A professional facial can give you the same immediate results with blackhead removing tools. It can help to keep your skin clear over time. Ask your dermatologist which is the best for your skin type. Microdermabrasion is a special spa process which works by using a specialized brush and chemical cleanser to clean out dead skin cells. Only available at spas and dermatologist’s office, but some beauty supply stores offer an at-home version.